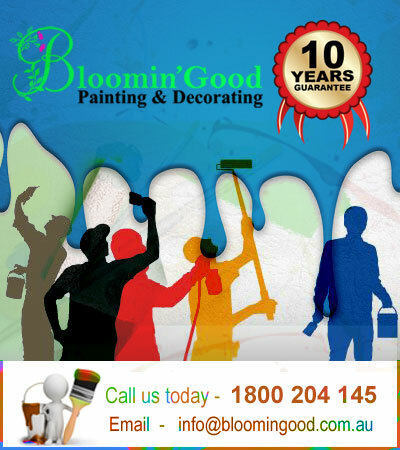 Bloomin’Good Painters Belmore are proud to be the leading painters in Sydney. Our professional, experienced, trustworthy and reliable team at Bloomin’Good is highly experienced in residential, commercial, strata and industrial sectors. Customer service is our number one priority, we ensure all of our customers have a great experience with us from the beginning to the completion of the project. At Bloomin’Good we come to you for a no obligation free quote – no matter where you located! What kind of painting services can you expect at Bloomin’Good Belmore ? Bloomin’Good Painting & Decorating take pride in our work, we make sure that when we finish a job we take all our rubbish with us and only leave with you being satisfied. We are confident that we will stick to the timeframe we establish with you to get the job on time. We provide each client with an onsite supervisor, if you have any questions or queries they are there to help you. Bloomin’Good Belmore is not limited to these services, if you have a job for us not on this list please let us know, we are here to help you. For your confirmation of our high standards of customer service please visit True Local and see what our customers think of us.